An expecting woman has a lot on her plate as she has to prepare for a multitude of things. From planning the design of their newborn’s room to other purchase decisions, she has to take into account all sorts of different factors such as safety and cost of hundreds of products. One of the critical decisions is choosing the right stroller for your baby. In recent times, the stroller market has significantly grown at a rampant pace. People can now easily find the type of stroller and its accessories that matches their needs and budget. Shopping for a stroller can be a complicated task. If you are looking to be an active mother, it is highly important to make a good purchase decision. There are more than a hundred stroller options available in the market, and one can feel overwhelmed when it comes to choosing the best for your child. When I was expecting and had to shop for a stroller, I did not know what factors to consider while buying a stroller. 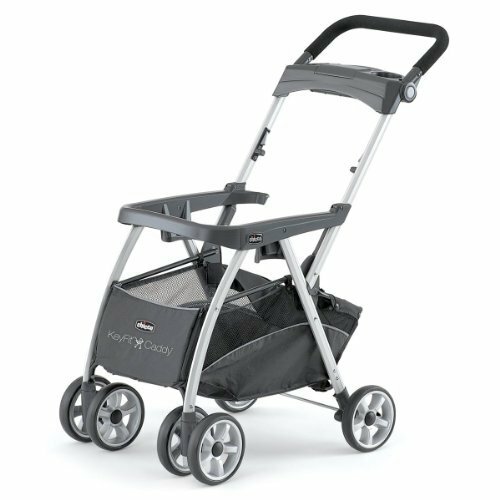 Furthermore, with so many options available, it is not a given that only expensive brands offer high quality strollers. BOB Revolution SE Lead Free Single 70 lbs. Quinny Zapp Aluminum-metal Single 50 lbs. 4Moms Origami Stroller Lead Free Single 40 lbs. 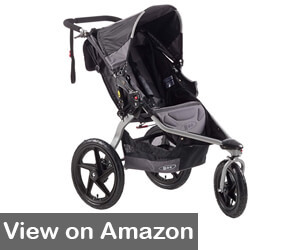 Jeep Cherokee Sport Stroller Lead Free Single 50 lbs. Liteway Plus Lead Free Single 30 lbs. 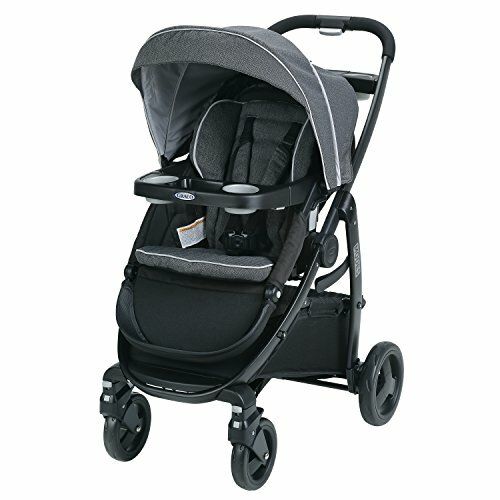 Graco Metrolite Stroller Aluminum-metal Single 35 lbs. 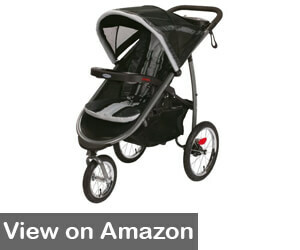 Baby Trend Expedition Jogger Steel Single 55 lbs. UPPAbaby G-LiTE Lead Free Single 55 lbs. Mamas and Papas Armadillo Steel Single 50 lbs. 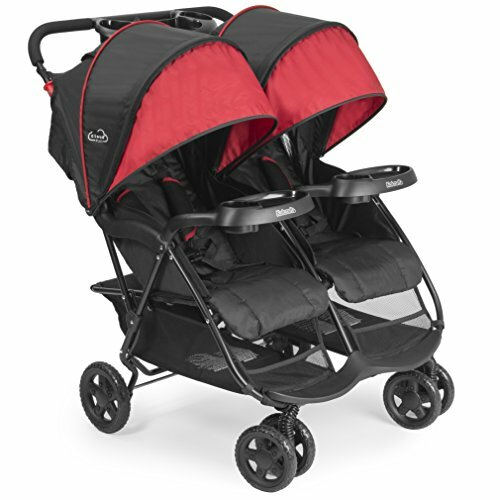 The Dot Buggy Steel Double 26 – 30 lbs. 1. What are your needs and preferences? 2. Does the stroller fit your budget? 3. Do you really need a stroller? BOB Revolution SE is the perfect choice for those mothers who want to recover their fitness and maintain a healthy lifestyle postpartum. Parents can make use of the front swivel wheel to easily move the stroller around with one hand. In addition to this, BOB Revolution SE is highly durable – the stroller is best known for setting a world record while being used in a marathon. As per sources, the stroller held up amazing well while being rolled at high speeds for over two hours. Parents have multiple color options to choose from including black, orange, navy, or plum. The stroller also has lots of storage space, allowing parents to keep all the things they might need while they are on the go. Another benefit of the BOB Revolution SE is the ‘see-through’ canopy that protects toddlers from the sun. If you are a mother that is always on the go, going for this full decked baby stroller is not a bad idea. However, one downside is that it does not come with a bottle or phone tray. You will have to make an additional investment to purchase those accessories. It is a heavy stroller weighing 25 lbs. Quinny Zapp is an umbrella stroller which is an ideal solution for those mothers or parents who are always on the go. This baby stroller is ultra compact and it comes with a rain shield and travel bag. 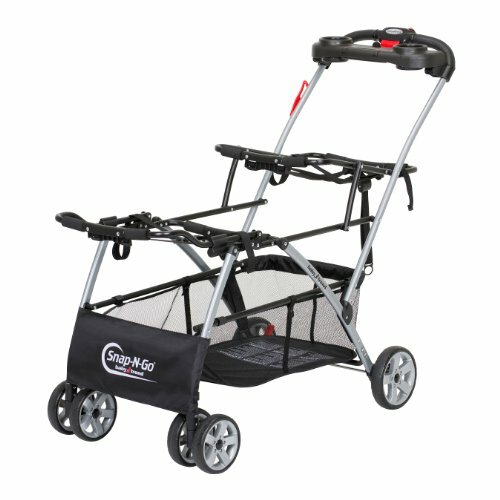 The biggest advantage of this stroller is its compatibility with Maxi Cosi Micro Infant Car Seat. Another reason why every mother would love having Quinny Zapp is because it is very lightweight. Despite being an ideal choice, the only negative aspect of this stroller is that it comes with very little storage space to keep baby’s things. Are you a tech savvy mother? If you answered yes, then 4Moms Origami Stroller is a must-have for you. Keeping up with technological advancements, mothers can open and fold the stroller with a single touch of a button – pretty cool, right? Thus, as an active mother you will save time in preparing the stroller and storing it as needed. Apart from this, this stroller comes with safety sensors that continuously determine if a child is in the stroller. 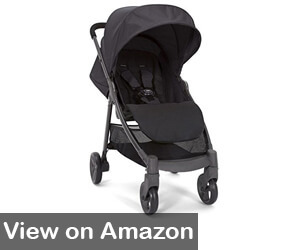 This is to ensure that the stroller does not fold accidentally or unexpectedly on your baby. That is not it! 4Moms Origami Stroller also features an LCD screen which keeps track of the temperature and the distance you have traveled with the stroller. When needed, you can also charge your mobile device through it’s self-charging stroller. Even though it has plenty of storage space to store baby’s needs, another great aspect of 4Moms Origami Stroller is that it has lights to keep you highly visible at night time. 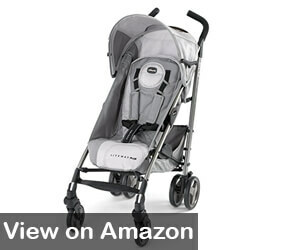 Do you know how easy it is to access, fold or unfold the Jeep Cherokee Sport Stroller? All you need is one hand. Not only is the stroller lightweight, but it offers great storage space for baby’s essentials. It also features a visor to protect your child against the elements. 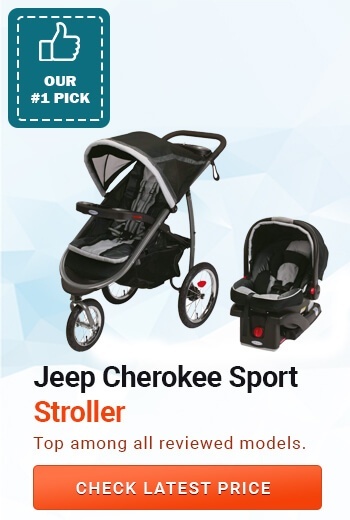 The Jeep Cherokee Sport Stroller is available in multiple fabric colors and comes with a three point safety harness to keep the toddler safe and secure at all times. However, if you are looking to get accessories or fancy add-ons such as hooks or rain shields, these things cost extra. The Liteway Plus can hold babies from day one until they are up to forty pounds – in simpler words, it develops and grows with the child. 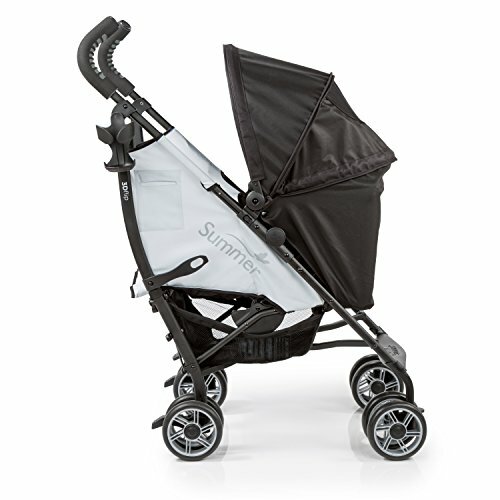 The umbrella stroller is compatible with the Key Fit car seat for infants and is available in multiple color options. For a comfortable sleep, parents can recline the seat to make it a flat carrier-stroller. 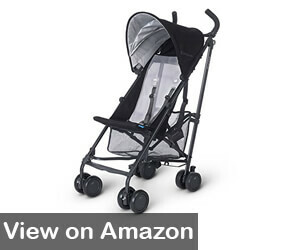 The Liteway Plus is highly durable and comes with a visor to protect infants from the sun and rain. However, this stroller lacks in storage space as compared to others. If you are looking for an all-in-one travel system, Graco Metrolite Stroller is your safest bet. Why? This stroller has it all – it is compatible with a car seat and has a base for vehicle. 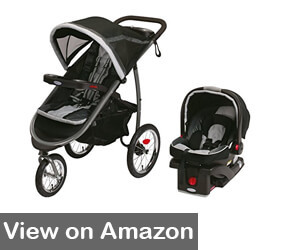 It is an ideal solution for those parents who want to invest in a stroller that comes with a car seat travel system. This stroller can easily hold a baby that weighs up to 50 pounds. 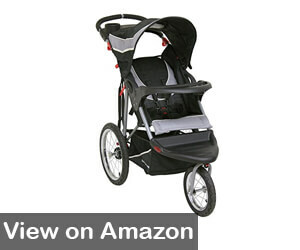 It comes with a five point safety harness to make sure your toddler is safe and secure in the stroller. Graco Metrolite Stroller features a one second fold which makes storage and unpacking easier for parents. Additionally, the stroller has a snack tray and cup holder. If you are committed to regaining your physique post baby with walking, jogging or running, we recommended to this jogging stroller. The Baby Trend Expedition Jogger is a three-wheeled stroller which mothers can easily stroll outdoors for leisure and fitness purposes. The jogging stroller is equipped to handle all types of terrain. 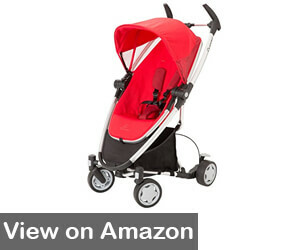 It also features front swivel wheel locks to ensure that the toddler is safe in the stroller. All in all, the stroller offers great value for the money. At eight pounds, this is the lightest stroller available in the market. The UPPAbaby G-LiTe offers numerous benefits to mothers including lots of storage space, a removable cup holder, quick folding and unpacking and more. The jogging stroller comes in multiple color options and is considered as a secure option when it comes to the safety of baby. The UPPAbaby G-LiTe does not have a travel system which is a significant disadvantage. Mamas and Papas Armadillo is a highly durable and rugged stroller that adjusts to the comfort of your baby via an adjustable leg rest. Another great aspect of this stroller is the compatibility with different car travel systems such as Chicco Key Fit 30, Maxi Cosi Micro, and Mamas and Papas infant seats. Easy steering, toy loop, and the one hand folding option further makes Mamas and Papas Armadillo a viable option for all parents who lean toward the active side. 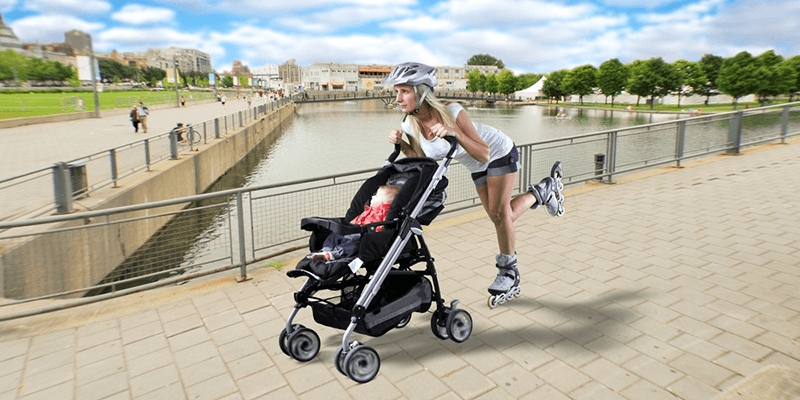 The stroller also comes with a user-friendly braking system which offers a firm stop and hold whenever required. If you ever wanted to have a rainbow-hue colored stroller for your baby, this is it! The Dot Buggy is a safe haven for all those parents who want to transport two toddlers at the same time. The biggest advantage of this stroller is that the second seat can be attached and detached as needed. 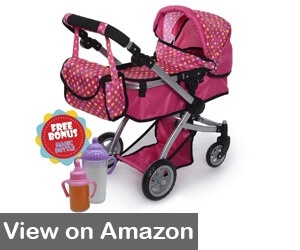 In addition to this, you can also instantly convert it to a car seat carrier if you have purchased the add-on kit. The maximum weight limit that the Dot Buggy can accommodate is 44 pounds and it comes with a hood to protect the infant from the rain and sun. The downside of the Dot Buggy is that add-ons can make this stroller an expensive investment for parents. In today’s market, the price of a stroller widely varies as you can find one that costs as low as $100 or as high as $2,000. As a new mom, choosing a stroller be challenging with all the range of pros, cons, features and price fluctuations. However, this article is geared towards helping you making an informed decision as you can easily identify what type of stroller suits you best for your lifestyle and within your budget. It is understandable that everyone is looking for different features. This section will help you understand the factors you should consider before choosing and buying a stroller for your baby. It is important to have a clear list of needs and preferences. The area you live in plays a huge role when it comes to buying a stroller – whether you live around rough terrain or in the city. In my case, being an active mother I was specifically looking for a jogging stroller along with lots of storage space. Before making up your mind, think about all the things you require from a stroller while keeping in mind your lifestyle, health, living conditions, and more. This will help you make an informed decision. For instance, if you still use a child car seat for your baby, a stroller that comes with a car seat travel system is a viable option. When we talk about making a purchase decision, one of the most important factors to consider is budget. People tend to go all out to buy a stroller which has the fanciest accessories and add-ons, but do they really need it? 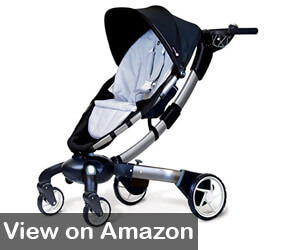 The primary objective should be to get exactly what you need from a stroller and nothing more. Parents make use of strollers almost every time they take their child out of the house as it offers convenience while taking care of daily routine tasks. Depending on the type of stroller you have purchased, you can easily go for a run, shop around, take power walks, and more. It does not only offer convenience to parents but comfort to the baby as well. A majority of parents start using a stroller to carry their babies from day one. It is believed that most strollers can hold babies until they exceed 50 pounds. The key to choosing and buying the right stroller is to not rush. Parents should take as much time as needed. There are plenty of great strollers available in the market, and it may get a bit confusing to choose what is right for you and your baby. Keeping in mind the questions of “how you will be using the stroller?” and “where you will be going most of the time?” will help you select a product that matches your needs and budget.